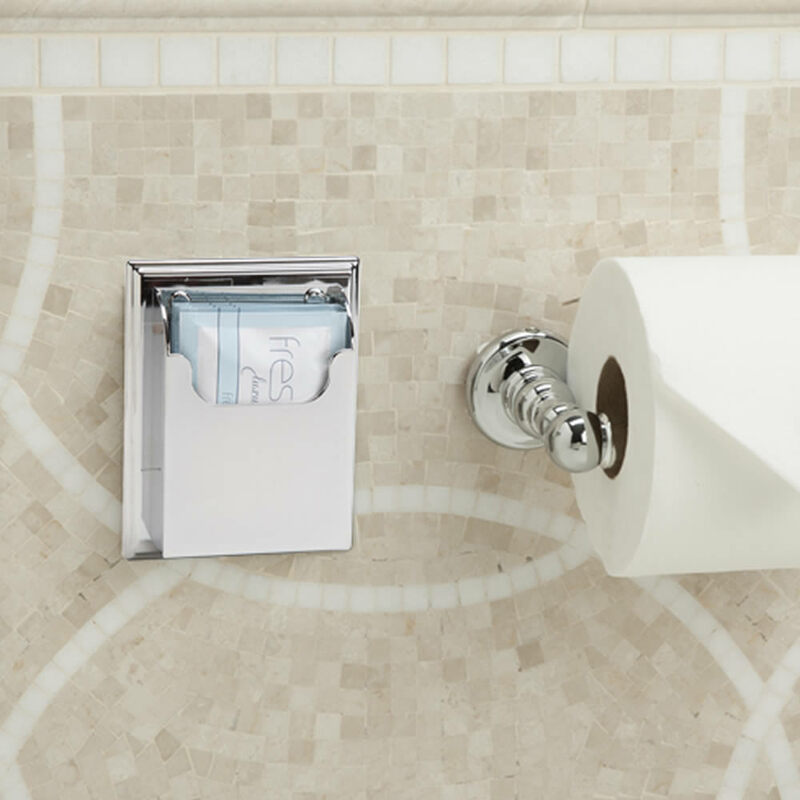 The wall mounted holder holds 3 to 4 individually packaged flushable wipes for use in the bathroom. This holder comes in a chrome finish to match your existing fixtures and was developed by the Freshends brand. It is a unique and stylish way to present the ultimate amenity you have provided for yourself or guests in your home. 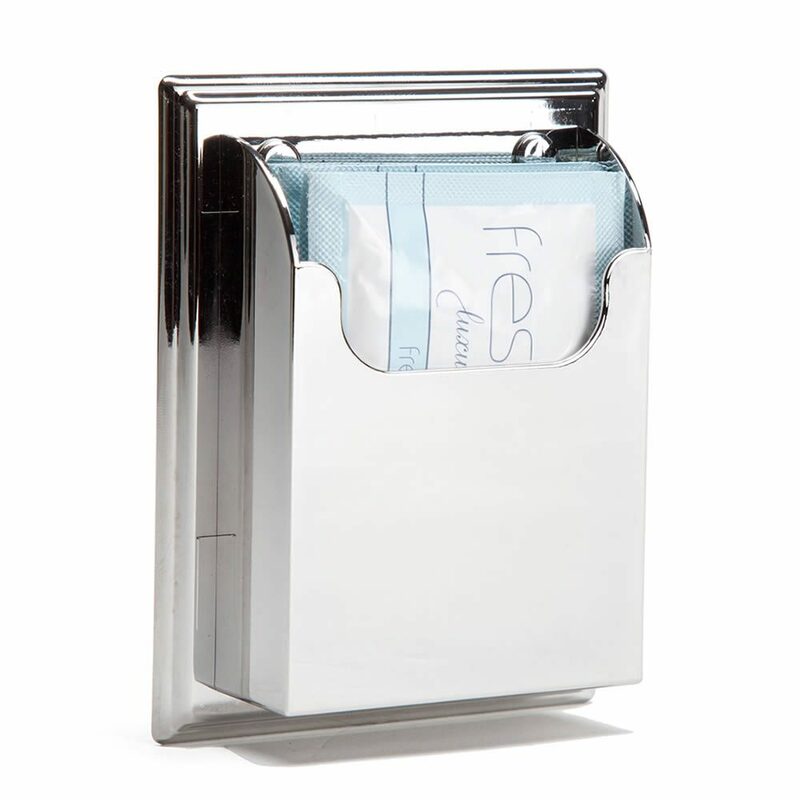 Freshends bathroom dispenser with a chrome finish, holds 3 to 4 towelettes. Dispensers can be installed using twin stick adhesive strips which are included with directions for easy installation.